In mixing bowl combine ricotta, lemon zest and spinach; mix well. Add salt and pepper to taste. Cover and refrigerate ravioli mixture until firm and chilled through. 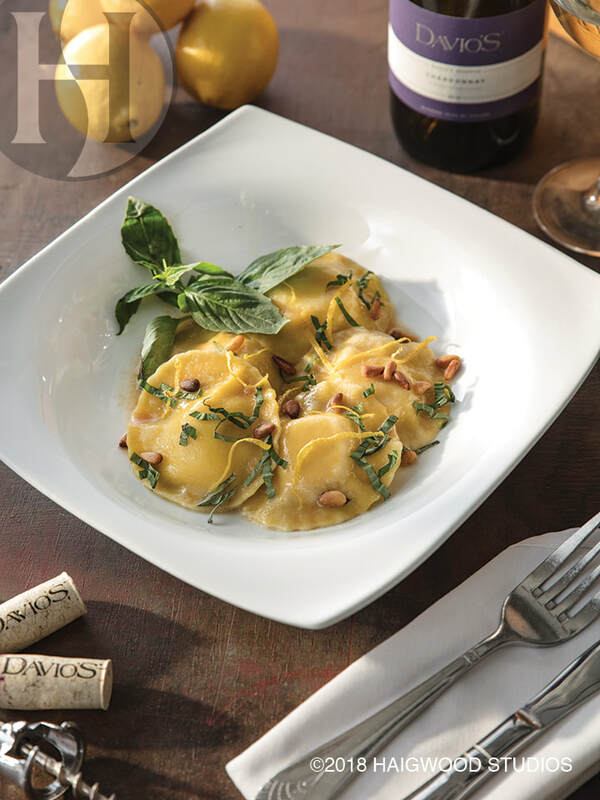 To stuff ravioli, beat egg with 2 tablespoons water for egg wash. Place pasta sheet over pasta grid. Brush all edges with egg wash. Spoon 1 tablespoon ravioli mixture into pasta well. Cover with another pasta sheet. Seal well with rolling pin. Continue process until filling is gone. Place ravioli on sheet tray with parchment and cornmeal. Place large pot on stove, fill 3/4 with water, high heat. When water is boiling, flavor with salt. Gently drop in ravioli to cook. When ravioli float to surface, fish them out with a strainer; drain well. Place ravioli on plate. Ladle favorite sauce over ravioli, garnish with chopped chives and Parmesan cheese. Serve 6 to 8 per person.